It said that the suspect, Usman Musa, was arrested in Kachia Local Government Area of Kaduna State on July 1. The service, which stated this in a statement signed by its Spokesperson, Mr. Tony Opuiyo in Abuja on Friday, also said that other suspected criminals were apprehended. service conducted a tactical operation against fleeing Boko Haram fighters on July 1, at Sakwai in Kachia LGA of Kaduna State.“During the operation, one Usman Musa, a high profile Boko Haram cell leader, was apprehended alongside six of his accomplices. He said that in Taraba State, the service had also intercepted one Usman Halaji, aka Abubakar Mubi, on July 5, at Bali town, where he was said to have been hiding after fleeing Sambisa Forest following the military bombardment of the area. He was said to have been advancing the doctrines of the terrorist group, as well as recruiting vulnerable minds to join the group. Opuiyo added that on July 13, another cell leader, Yusuf Isah, was arrested at Sabuwar Yelwa area of Dala in Kano State. He said the suspect’s arrest also led to the arrest of another member of the cell, Yakubu Usman, who was said to have fled from Sambisa Forest following military operations in the North-East on July 28. Furthermore, he said that on August 3, two suspected Boko Haram fighters, namely, Buba Gebj, aka Dogo Dan Cameroon, and Manu Isah, were apprehended by the agency at Tamburawa, Dawakin Kudu, Kano State. The two suspects were said to have been arrested while heading to Lagos, in furtherance of the group’s cause. Opuiyo added that the service also arrested Bashir Yahaya, a suspected member of an ISIS-affiliated extremist cell and close associate of Bilal, aka Malik, another extremist element at Nagazi in Adavi. Yahaya, he said, had been indoctrinating and recruiting vulnerable youths in the state for the extremist group. He said that on August 10, at Kwatte Village, Rigasa District, Igabi Local Government Area in Kaduna State, the service, in conjunction with the military, raided the hideout of a notorious armed robbery/kidnap gang, led by Salisu Lawan. 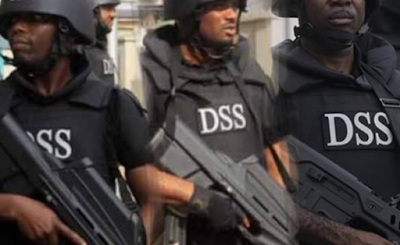 He said that security operatives also smashed a kidnap syndicate at the Federal Housing Authority Estate, Lugbe, Abuja on July 14. According to him, the group was led by one Ebifagbe Dickson and five others, namely, Williams Jephter, Messiah Philips, Sample Reuben, Prosper Ebitari and Charles Krobo James. He said that the gang was responsible for the abduction of five German expatriates at Bayelsa Coastline in Brass, and that they were intercepted while plotting to perpetrate series of kidnap operations in the Federal Capital Territory, Abuja. That's nice, catch them all.